Episodic headaches are classified among the most frequently reported complaints that may affect individuals of all ages. 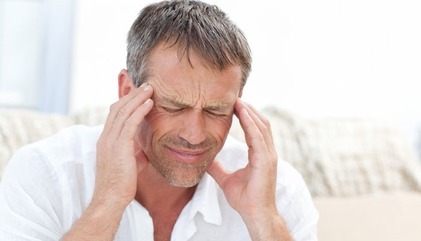 It is imperative to mention that most cases of headache are not diagnosed and treated properly. This is mainly because individuals usually tend to overlook the seriousness of symptoms by ignoring the headache episodes altogether; while others use their own skills to manage the symptoms. Headaches can be classified in several categories; with each type suggesting a particular pathophysiology. Knowing particular symptoms of each type can help in reducing the intensity, severity and frequency of headaches. For example, headache can be a nonspecific symptom of an impending cold or may occur after a tiring and exhausting day at work; but in some rare cases it may also be a sign of a serious underling disease. Why Would I Have Headache When Standing Up? There are several scientific reasons that may explain headaches when standing up. Most commonly, the pain at the base of the skull is mainly attributed to the stretching of blood vessels as a result of receptor hyper-stimulation. The pain is sometimes also sensed in the meninges (which are delicate membranes) and are designed to cover the brain matrix from sudden trauma or shock. In postural hypotension, also known as orthostatic hypotension, the blood pressure suddenly drops abruptly upon standing up from sitting or lying posture. Blood pressure is the force with which heart pumps blood to the periphery and can be measured by the force experienced by the arterial wall. Experts explain that the blood is pulled into the legs due to the effect of gravity in some susceptible individuals upon standing suddenly from a lying posture. This may result in a drop in the blood pressure. The ultimate effect is, compromised reflexes and compensatory tachycardia (faster pumping action of heart to restore circulatory pressure by constriction of blood vessels). Postural hypotension can be due to intake of certain drugs or as a result of physiological aging. Other symptoms of postural hypotension include dizziness and headache when standing up. This condition could stay for few minutes after standing up. Some individuals may also experience episodes of faintness or loss of consciousness. Circulatory disorders such as hypotension (low blood pressure) and hypertension (high blood pressure) are very frequently presented with headaches and may include other symptoms like nausea and blurriness in vision. An abrupt change in position such as suddenly standing up from sitting position can trigger dizziness and visual defects due to hypotension. Likewise, an increase in the blood pressure can presents with headaches in addition to visual defects, vomiting, nausea and other symptoms. It is also known as "Pseudotumor cerebri" or "Benign Intracranial hypotension". Individuals who experience intracranial hypotension develop headache due to a rise in the intracerebral pressure. The pathophysiology revolves around diminished resorption of cerebrospinal fluid in the intracranial space and resulting in a rise in the pressure. Characteristic symptoms include presence of papilledema without any sign of tumor or mass in the head. Some symptoms that are seen in severe cases include blurring or dimming of vision (known as transient visual obscuration) that may stay for some seconds or up to a minute (particularly on standing up). Other symptoms include visual field's concentric constriction which is not identified by the patient due to unawareness; horizontal diplopia along with restriction of eyes sideway gaze caused by the displacement of brain and stretching of Abducens nerve due to high intracranial pressure. This is characterized by headache when standing up just after or during a vigorous session of exercise that requires a lot of strength. Exercises that may cause headaches include running, tennis, swimming, rowing, weightlifting, etc. Exercise headaches are divided into two types by the experts. One is primary exertion headaches, in which headaches are undisruptive and are not due to any underlying problem. Such cases are easily treated with medications. While secondary exercise headaches are due to an underlying severe problem usually associated with brain. Some examples include internal brain bleeding, tumor or surrounding vascular issues like coronary or cerebral artery disease. These headaches are usually managed with emergency medical treatments. Migraine is a special kind of one-sided headache that is often accompanied with other symptoms such as flashes of light, visual defects, numbness, tingling sensation, nausea and vomiting. Migraine attacks are usually triggered by stress and certain foods such as chocolates and cheese. Once you identify triggering factors, do your best to avoid them altogether. People prefer taking pain killers including aspirin and paracetamol as soon as they feel headache when standing up, without avoiding triggers such as caffeine. For prevention and treatment, you can take anti-migraine pills. In case of an ongoing attack of migraine, make sure to stay in a dark and calm place to avoid aggravation of headache. It is the most common variety of headaches. Statistics indicate that millions of people suffer from tension type headaches. A typical episode of tension headache is characterized by persistent feeling of a band of pressure around the head. People who suffer from tension headache also feel tenderness over the scalp. It is different from migraine as the sufferers doesn't feel nausea or hyper-sensitivity to bright light. In addition, tension type headaches are generally unpredictable; some episodes may last for hours while other may take days or even weeks. Tension headache can be caused due to stress, noise, strain on eyes (such as due to TV or excessive use of computer), dehydration or even fumes and you particularly feel headache when standing up. But after all, it is not dangerous or life threatening. Prolonged sitting in poor posture can result in build-up of tension in the upper back, shoulders and neck region which may lead to severe headache when you stand up. The pain usually originates from the lower side of the skull and sometimes may radiate to the face and forehead region. This headache can be managed by frequent changing of posture, mild stretching exercises of neck and lower back, etc. If you are mostly busy on phone, use a headset to reduce strain on the muscles.You may consult a physical therapist to better identify and correct your posture. You cannot identify the reason behind your headaches with symptoms alone. So it is always better to consult a neurologist to reach the actual diagnosis. Describe the headache to your physician to learn more about triggers, relieving factors and management options. It is also advised to learn what triggers your headache when standing up and seek appropriate treatment to avoid further complications. You have difficulty speaking, seeing or walking. You neck is stiff or you feel the one side of your body is numb and weak. If you feel like fainting. If you develop a fever that is higher than 39°C to 40°C. What Is Negative Feedback Loop of Blood Pressure? What Causes Fluctuations in Blood Pressure? Do You Dream in a Coma?